Andreas Freytag has nearly 20 years of international experience in research, training and consulting in economic policy. He specializes in international trade and investment policy, development economics and monetary policy. He has been a Director of Tutwa Europe since 2012. His clients include the Organisation for Economic Cooperation and Development (OECD), the European Commission, the ACP – MTS Programme, and government agencies and private sector clients in South Africa and Germany. Andreas is a Professor of Economics at the Friedrich-Schiller-University Jena and Honorary Professor at the University of Stellenbosch. He is a Senior Research Fellow at the European Centre for International Political Economy (ECIPE) in Brussels, and a Senior Research Associate at the South African Institute of International Affairs where he was the 2008 Bradlow Fellow. He has a long association with the G8 Research Group at the University of Toronto. 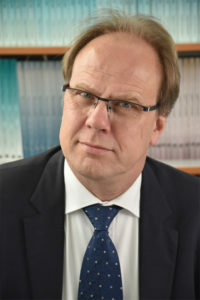 He has a PhD in Economics from the University of Cologne and has published many books and articles on economic policy, international trade and competition policy, development economics and international policy coordination.